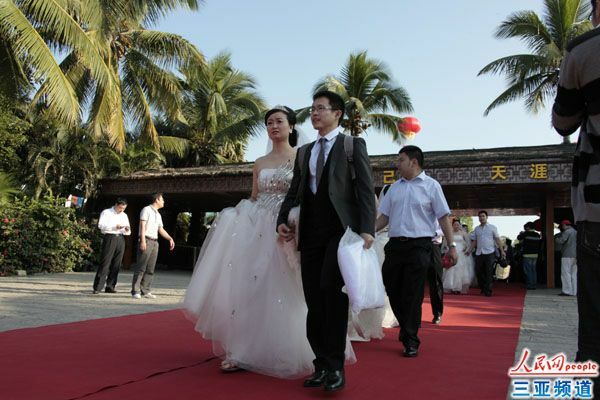 The annual Sanya International Wedding Festival kicked off on Dec. 12, 2011 at Tianyahaijiao Resort. 54 couples from home and abroad tied the knot at the resort, among which 20 were from Russia and Kazakhstan. 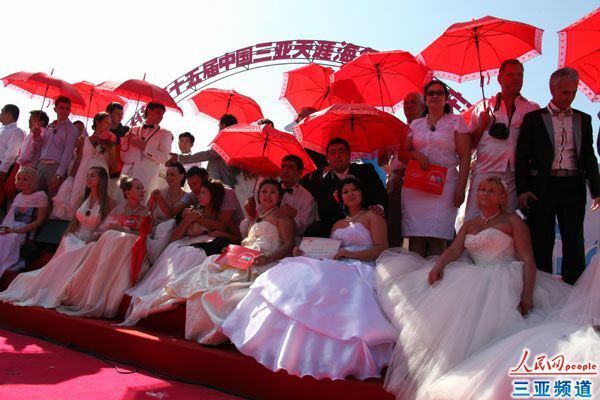 Since its debut in 1996, the Sanya International Wedding Festival has been successfully held for 15 editions and has become one of the influential wedding theme-related events in China for wedding or honeymoon guests from home and abroad. The festival is organized by the Sanya Municipal Government and co-hosted by the Municipal Committee Publicity Department, Sanya Tourism Bureau and other relevant departments.